Much has been said lately on Sonic Perspectives about the efficiency and precision of German power metal bands. The recent releases of Primal Fear and Refuge, both reviewed by us and presenting solid results, are good examples of that. 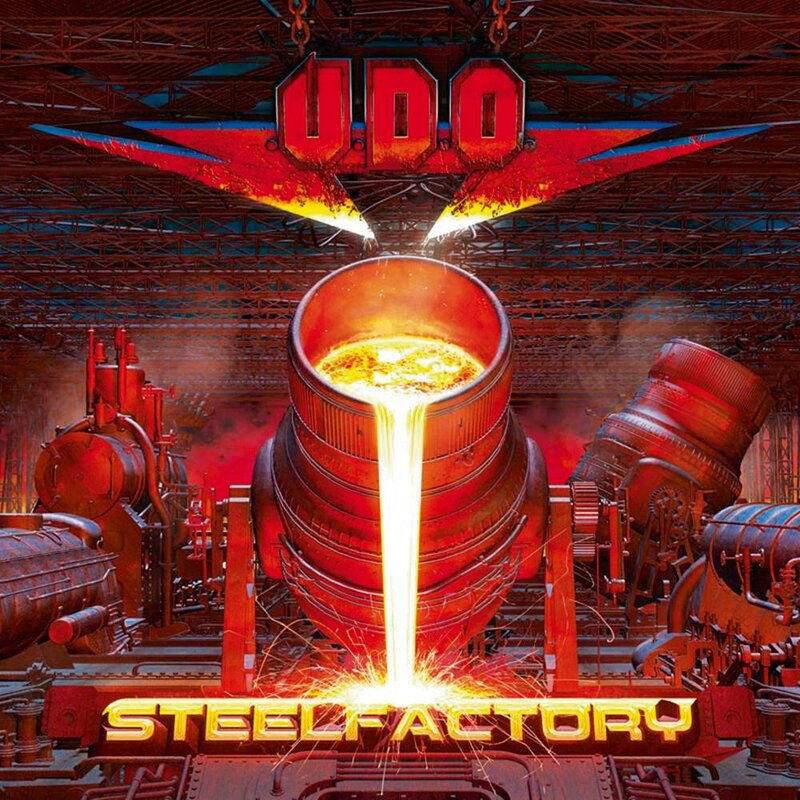 Moreover, the end of August marks the release of yet another consistent offering from the land of sauerkraut: U.D.O.’s new album, “Steelfactory”. Having toured extensively for the past few years using his surname Dirkschneider and honoring the songs that made him famous with Accept, U.D.O. decided it was time to put that to rest and resume his recording career, releasing the follow up to 2015’s “Decadent”. The end result is just as down to earth and powerful as his stage persona. Established artists these days, when deciding to record a new album, are faced with the ever-present dilemma: should I take a left turn and do something completely different, or should I stick to what I know? Without saying this is the right approach on all occasions, in U.D.O.’s case it favors him deeply that he’s chosen to tread familiar waters. Similar to Fish’s Marillion, they left the bands that got them the spotlight and carried on as solo artists, without deviating all that much from the sound that made them famous. For U.D.O., the proximity with Accept is even more palpable, and not just musically: Diego Verhagen, the same artist responsible for Accept’s recent illustrations, drew the cover of his new album. The choice to begin “Steelfactory” with a song named “Tongue Reaper” shows that there’s no time to waste, because all elements that made the camouflage pants-wearing belter famous are here: crushing riffs, mob-like choruses, his distinctive voice and eyebrow-raising lyrics. And following up, you’d be forgiven for jumping off your seat when “Make the Move” kicks in, because the main riff sounds uncannily similar to Accept’s “Living for Tonite”. One of the central pieces of the album, “In the Heat of the Night” is a slow burn kind of song with a recurring theme in U.D.O.’s lyrics: the typical tale of misfortunes in the streets at night. With sad twin guitar harmonies and a tasteful solo by Andrey Smirnov, this song could easily have been the album opener. The middle-eastern inspired “Raise the Game” comes next, with U.D.O. changing from almost a spoken word delivery on the verses to growls and shrieks on the bridge. And “Blood on Fire” follows a similar blueprint as “Balls to the Wall”, especially in the chorus, until things take an unusual turn with a quote from “La Cumparsita”, a tango made famous by Argentinian Carlos Gardel, in the guitar solo. It may sound like a bizarre idea, but surprisingly, it works. On the fast-paced “Rising High”, by far the most “conventional” metal song in this release, U.D.O. 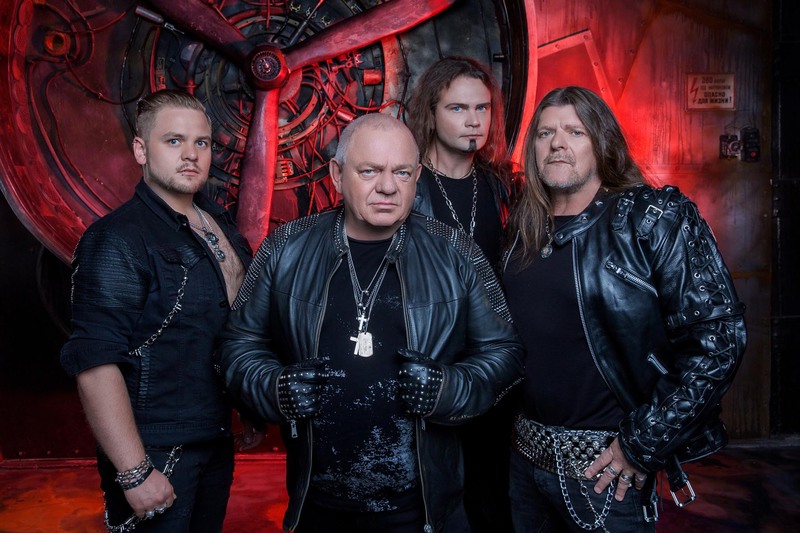 reaches the peak of his vocal delivery, whilst efficiently backed up by Sven Dirkschneider on drums (yes, it’s his son) and Fitty Wienhold on bass. Much like his battered and bruised figure on the video of “One Heart One Soul”, his music shows its age, but somehow lingers on and survives. On “A Bite of Evil”, the influence of AC/DC is more than evident, be it in the main riff, in the guitar tone or in U.D.O.’s maniacal laugh. “Steelfactory” closes with an autobiographical note – a ballad where U.D.O. gets personal and talks about the many roads he has traveled in his lengthy career. “My voice is growing older, my mind is staying young, I’m proud I did it my way, the road where I belong”, he sings, sending shivers up our spines. All in all, this is a worthy addition to an already lengthy catalogue. On his 16th studio album, U.D.O. shows resilience to carry on for a few more years and keep doing what he knows on stage, with a band of youngsters to support him. While this is by no means a groundbreaking release, it will satisfy old metal-heads, and give the new ones clear evidence of the man’s importance for the metal community. "Steelfactory" sees U.D.O. revisiting his old tricks with efficiency, and proves he still has a few years under his belt. Clocking in at just under one hour, the album could have used some trimming here and there, but U.D.O. gets his point across without sounding derivative, and closes on a VERY strong note with “The Way”.